Web Design or Web Development – What’s The Difference? Web design and web development are both about creating websites, so what’s the big difference? At Tad Web Solutions, we’re experts in web design and web development and many projects often include both elements. Here’s an explanation on how to differentiate these services. Web design is exactly what it says on the tin – it’s the front-end design of a website. Web design is how a website looks and how your menu, your text, images and so forth appear to a visitor. The design of your website is how you draw somebody in and make them want to read about your business. A quality website design makes it easy for a visitor to find out about your business and your services, but most importantly makes it easy to complete a purchase or contact you. Bearing that in mind, quality web design can win you business. On the flip side, poor web design can do the exact opposite and put off your potential customers, losing you money. A term you’ll often read about when searching a web agency website, including our own, is the word ‘responsive’ or ‘responsive web design‘. This is the modern way of creating a website to ensure that it can be accessed by website visitors on any device, from a mobile phone to a desktop computer. Responsive web design, in it’s most basic form, means creating your website using percentages where traditionally a website would be designed using ‘fixed pixels’. These percentages allow your website to shrink and resize elements to fit any screen size. Responsive web design is now the industry standard when you commission an agency to create your website, and you should expect nothing less. It’s easy to check if your website design is ‘responsive’ with tools such as the ‘Mobile-Friendly’ test created by Google. The role of web design and a web designer when creating your website is to ensure that your business looks modern online and is presented in a suitable way for visitors on all types of devices. Where web design is the art of crafting how your website looks, web development is crafting how your website works. One of the most popular uses of effective web development on websites for startups and small businesses today is the use of a content management system or ‘CMS’. This is essentially a platform that allows you as a website owner to manage your own website text, images and products. There’s various existing content management systems available to use for websites, with most popular being WordPress. Others include Joomla and Drupal, or Prestashop and Magento for eCommerce websites. 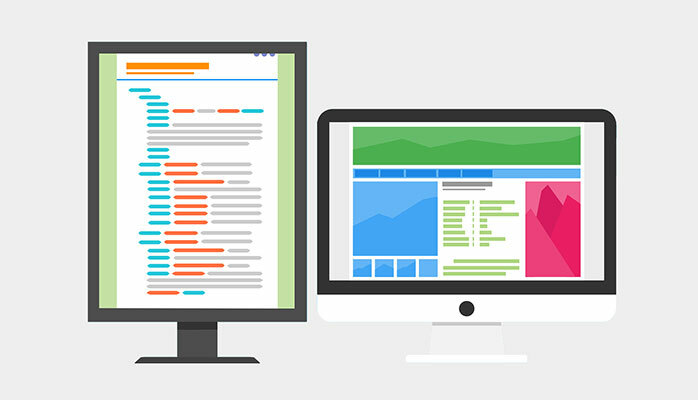 Where design is the front of your website (the part that your customers and visitors see), web development gives you the ability to maintain your website pages and change the text and images. With that said, development allows you to do nearly anything you can imagine via the Web. We’ve had the pleasure of helping businesses to create online event ticketing features and 3D modelling, for example. Website security is also a feature of web development. Ensuring that your own data and the information of any customers who use your website remains safe and that the content of your website remains secure is a prime example of effective development. We’ll review your requirements and your business to build a better understanding of your needs. A growing company needs to be flexible, adaptable and versatile. Ensuring that the information on your company and your products is as up-to-date as possible can be crucial – conveying wrong or outdated information can cost you sales, suppliers or investors. As such, our development team will use a Content Management System, such as the aforementioned WordPress, as the framework for your website. This makes changing your website yourself in the future easy and cost-free. This is where web development is part of a standard project, using a Content Management System and creating any additional necessary features or ‘plugins’. We have the pleasure of working with a number of rapid-growth startups, many of which are looking to bring their business and/or their product online for the first time. If the company has no existing website, or are looking to change the look of their existing website then web design is required. Working closely with you, the client, our design team will then begin the process of designing a new, responsive website. The case study on our clients Big Solar and their revolutionary product is a great example of both web design and development for a startup business. It is not uncommon for companies to be more than happy with the existing look of their website, but would like to be able to manage the content on their website themselves. This is possible in certain cases, but unfortunately not always.